Everyone has heard of ‘Meatless Monday’ or ‘Taco Tuesday’. I’m here today to let you all in on the next big thing for weekly dinners… I’m calling it ‘FRIDAY PIE DAY’. You heard it here first folks! I’m a big fan of routine, especially with my boys. We have a set schedule every day and it really helps things run smoothly around here. They know what to expect and I know what I need to do as well. 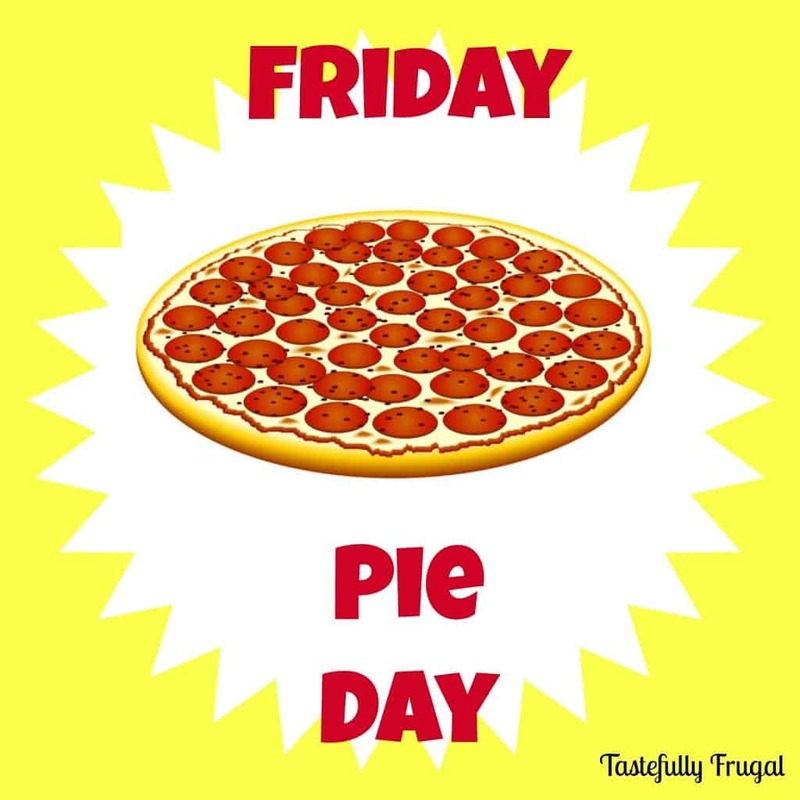 That was one reason Friday Pie Day sounded so appealing to me. My boys love pizza. Like they would eat it for every meal if I let them! Once they get in a habit of getting to eat pizza once a week, (hopefully) they won’t be asking for it every day. I’ll let you know how that goes. You may remember on Monday I told you about the Round Robin Giveaway I was a part of earlier this week on Instagram… To win all you had to do was tell me what your favorite pizza toppings were. No, I wasn’t trying to make you hungry and crave pizza, though if I did I’m truly sorry 😉 I was gathering information so I can create some of YOUR favorite pizzas! Every Friday I will create a new pizza and share it with you here on the blog. If you follow me over on Instagram you can get a sneak peek of the following week’s recipe. To start things off I wanted to give you the recipe I use to make my dough. I feel that the crust on a pizza can take a good pizza to a great pizza. I have used the same pizza dough recipe since I have been making pizza. I have tweeked it here and there and really made it my own. And I love the way it tastes! Recently I started using garlic salt instead of regular salt and I love the extra garlic taste. It’s just the right amount of garlic; it won’t protect you from any vampires, but it has a good taste. In a medium bowl mix together yeast, sugar and water. Let bloom for 15 minutes. Mix in one cup of flour and stir until completely combined. Add garlic salt and mix thoroughly. Mix in one cup of flour and stir until mostly combined. It will be hard to stir once dough gets sticky. Flour a clean surface and roll dough onto floured surface. Cover your hands in flour as well and make sure to get in between your fingers; that is where the dough is going to want to stick the most! Knead for 3-5 minutes until dough is soft and not sticky. Add more flour as needed. You should be able to pinch it and have it go back right away. In another bowl pour oil in and cover the sides. Put dough into bowl and roll around so dough is covered with oil. Cover with a damp towel and let rise for 40 minutes. Punch dough down and knead for another minute. Smooth out on pizza pan (or a jelly roll pan works if you don’t have a pizza pan) and make sure to add extra dough on the outside perimeter for the crust! 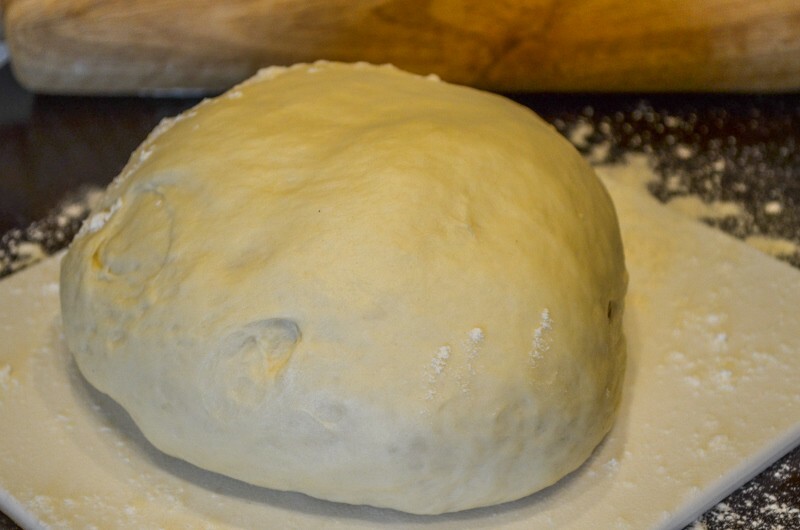 Dough can be made ahead of time and can be stored in the fridge for up to 3 days. Now that we have the canvas made let’s get to creating a masterpiece! Check back next week to see what pizza will make the cut for the first FRIDAY PIE DAY! If you can’t wait until then check out the guest post I did for Debi over at Practical Parenting a few weeks ago. 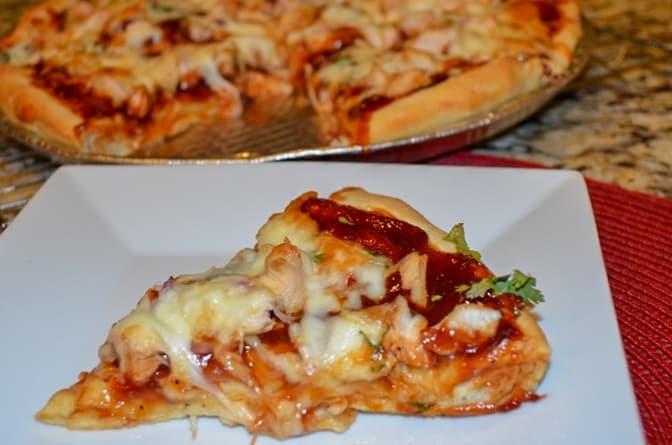 It is my favorite pizza to date… BBQ Chicken. I’ve never added garlic salt to my pizza dough, it’s sounds delicious! I’ll have to give it a shot. And the taco pizza you shared on instagram looked AMAZING!!! Amy you should definitely try it… It is so good! And thank you… It turned out better than I expected. Both my hubby and my 2 year old requested it for lunch again today. I can’t wait to share the recipe! Thank you Jessica for hosting such a fun party! And you should try it for sure… It is really, REALLY good! Looks yummy!! Almost every Friday is pizza day here at my home! Thanks for linking with Home Matters Linkup!